We're back with the itinerary for The Duke and Duchess of Cambridge's (and Prince George's) 2014 Royal tour to New Zealand and Australia. The couple's schedule includes a wide mixture of events including receptions, war memorial trips, planting ceremonies, a visit to the zoo, and to causes close to the couple's hearts including an RAF and hospice engagements. It's an incredibly casual tour and interestingly there are no black tie/tiara events planned. We may see some jewels at state receptions, but certainly I don't expect to see a tiara during the tour. There will be opportunities to see George (apart from at departures and arrivals) which are expected to included a parents and toddlers group in New Zealand and a zoo in Australia. 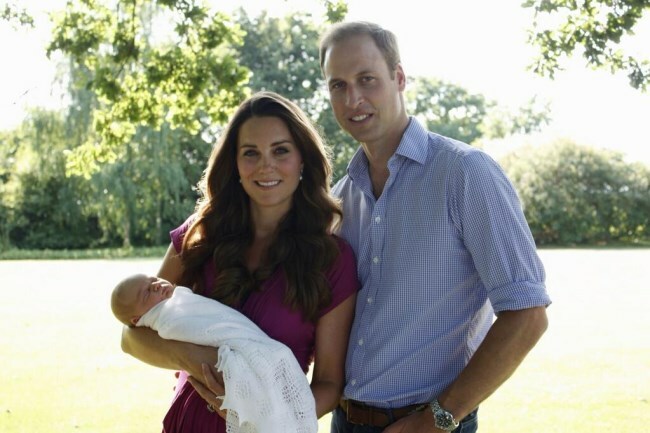 William and Kate have organised their schedules to ensure they spend only two nights away from their son. They plan to use hubs in Wellington, Sydney and Canberra to ensure they maximise their time together. It has been reported the Cambridges have hired a young European nanny to take care of George. No members of the Middleton family will accompany them; they will travel with an entourage not including protection officers and the Duchess will NOT be taking a dresser but will have up to 32 outfit changes. 'Kate, has never visited either country but "has wanted to do so as long as she can remember", said William's private secretary Miguel Head. "It's a tremendously exciting visit and I can tell you Their Royal Highnesses are looking forward too it immensely. Their is no hiding their enthusiasm for this visit by both The Duke and The Duchess. The Duke has no doubt that his wife will fall in love with New Zealand and Australia every bit as much as he did, some years ago. Kate is particularly looking forward to experiencing some of the extraordinary warmth and hospitality for which the people of both countries are renowned the world over,"added Miguel'. The Duke and Duchess of Cambridge and Prince George will arrive at the Military Terminal at Wellington Airport on a Royal New Zealand Air Force aircraft. The Duke and Duchess will attend a ceremonial welcoming ceremony, including a Maori Powhiri and inspection of a guard of honour. The Cambridges will attend an event for Plunket nurses and parents with their young children at Government House, Wellington. It will offer the royals a nice opportunity to chat with other parents, no doubt they'll have plenty of stories to share about little George. Speaking of the little Prince, he'll accompany his parents for this one, marking his first official engagement. The Duke and Duchess of Cambridge will attend a wreath-laying ceremony and commemoration at War Memorial, Seymour Square, Blenheim and view an exhibition of WWI aircraft before moving outside to view the static WWI display, Omaka Aviation Heritage Centre. The day will end with a State Reception at Government House where William will give a short speech and unveil a portrait of The Queen. The Duke and Duchess of Cambridge meet serving Air Force personnel and their families in a hangar adjacent to the runway at RNZAF Whenuapai, Auckland. The couple will each board an Emirates Team New Zealand Americas Cup yacht and sail around Auckland Harbour. Finally, William and Kate will travel across Auckland Harbour in a 'Sealegs' craft to Westpark Marina, Auckland. April 12 begins with solo engagements for the Cambridges. The Duke of Cambridge will view the manufacturing plant and a static display of the XSTOL aircraft at Pacific Aerospace, Hamilton Airport, while The Duchess of Cambridge will meet children, families and nursing staff, and view a play therapy session at Rainbow Place Children's Hospice Waikato, Hamilton. Afterwards the couple will pay their respects at the town War Memorial in Cambridge before travelling through the town centre, before opening the Avantidrome in Hamilton. They will also start several races, watch a BMX display, and meet Olympic athletes. The Duke and Duchess of Cambridge will arrive at Dunedin airport and be greeted by members of the Ngai Tahu iwi. Shortly afterwards they will attend a service at the Cathedral Church of St Paul, Dunedin. The couple will wrap up the day by watching, and participating in, a Rippa Rugby tournament at Forsyth Barr Stadium, Dunedin. It should be enormous fun if they both join in and play on opposing teams. The Duke and Duchess of Cambridge arrive at Otago Wines, Amisfield Winery, where they will sample local wines and produce, tour the vineyard, and travel on the Shotover Jet along the Shotover River. The Duke and Duchess of Cambridge will be greeted by members of the Ngai Tahu iwi at Christchurch City Council Building and will remember the 185 people who died in the February 2011 earthquake. The Duke of Cambridge last visited New Zealand in March 2011, shortly after the Christchurch earthquake. William and Kate will once again indulge their athletic interests by watching, and participating in, a 2015 Cricket World Cup event. 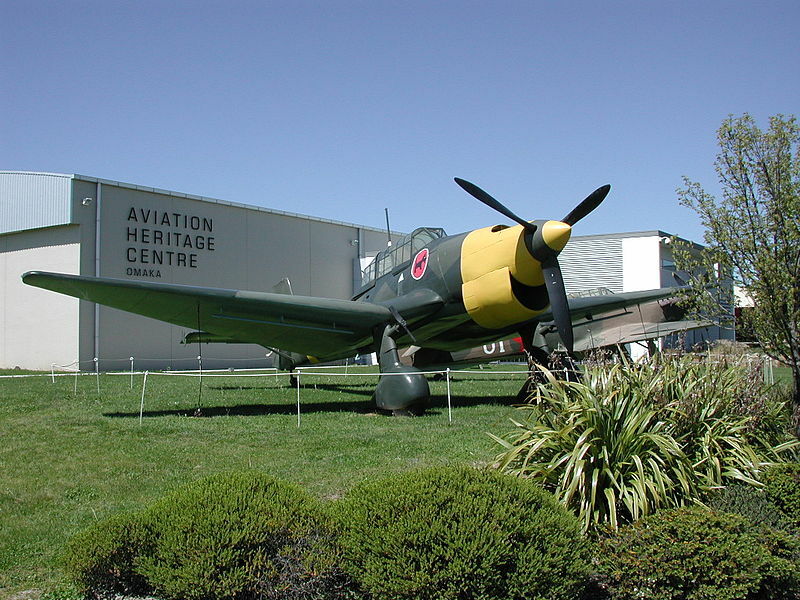 The packed day continues with a lunch held by the Chamber of Commerce, and later, a viewing of the RNZAF Memorial Wall at Wigram Air Force Base in Christchurch. The couple will mark their final day in New Zealand with a selection of interesting engagements. The Duke and Duchess of Cambridge will meet recruits, pay their respects to those officers killed on duty, view a police training display and dog display at Royal New Zealand Police College, Porirua, near Wellington. They will conclude their visit to New Zealand with a short walk through the Civic Centre and sign the city's visitors’ book at Wellington City Centre before departing Wellington on board a Royal Australian Air Force aircraft from Military Terminal, Wellington Airport. 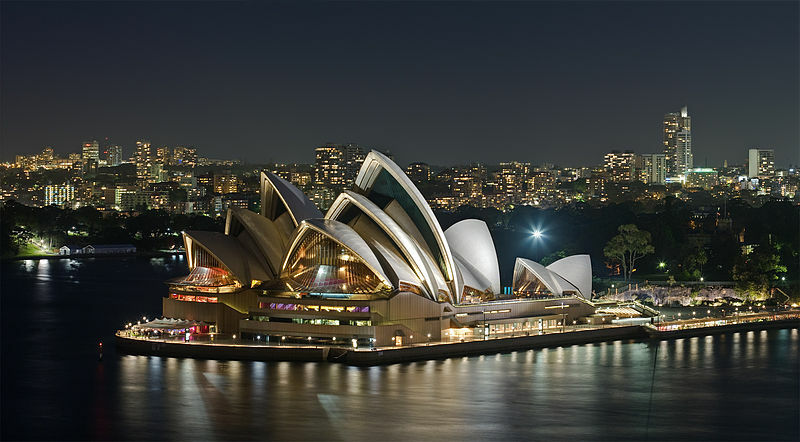 The Australian leg of the tour kicks off on Wednesday, 16 April when the Cambridges arrive at Sydney Airport and head straight to Sydney Opera House for a reception. Following the reception, they will take a boat across the harbour to Admiralty House, which will be their base in Australia. 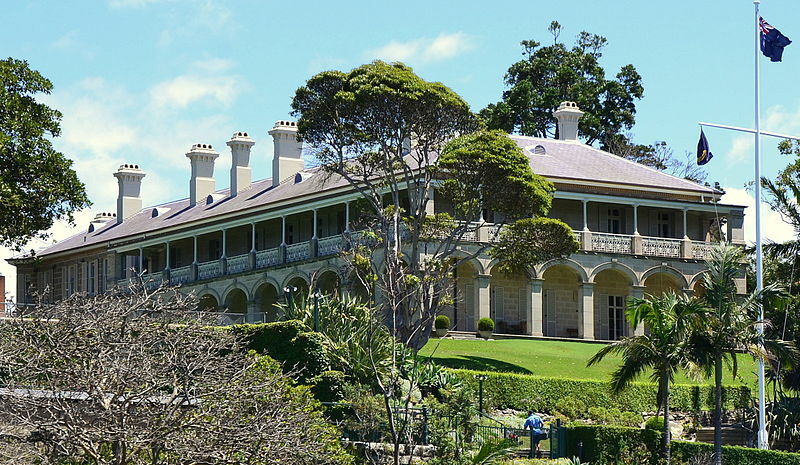 Admiralty House is the official Sydney residence of the Governor-General of Australia. It is located in the suburb of Kirribilli, on the northern foreshore of Sydney Harbour. The large sandstone mansion offers stunning views and a private retreat for the couple during downtime. The Duke and Duchess will visit the Blue Mountains where they will meet families affected by the October fires and visit bushfire affected streets. 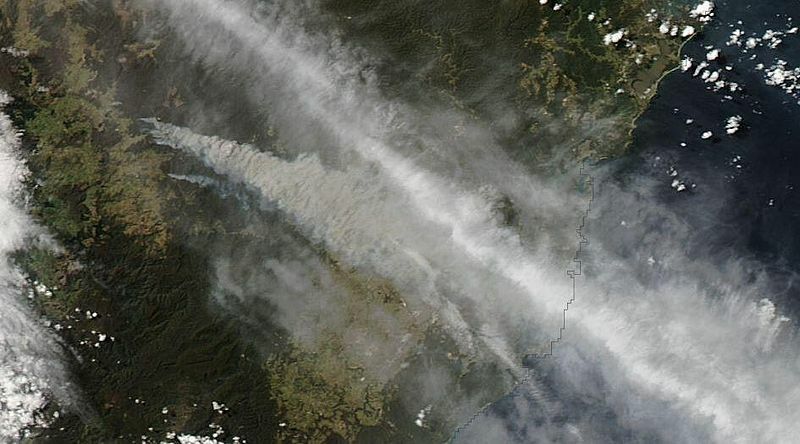 For those of you who many not have previously heard, the 2013 New South Wales bushfires were a series of fires in Australia - primarily starting on October 13, 2013 - with the most severe fires located across the Greater Blue Mountains area. 210 houses and other buildings were destroyed. Afterwards, William and Kate will take in the sights of surrounding areas. April 18 (Good Friday) is one of the most hectic days on the schedule beginning with the Sydney Royal Easter Show. 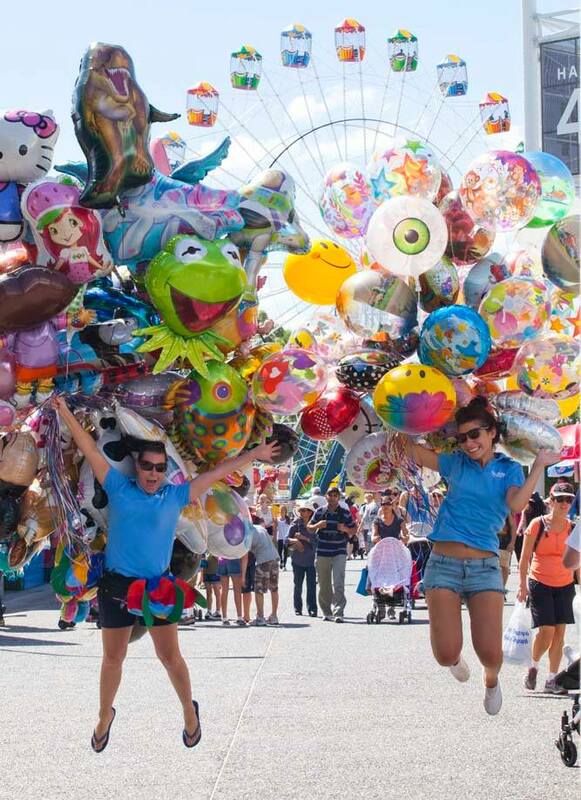 The show is Australia's largest annual event, attracting close to 900,000 people each year. It is a celebration of Australian culture - from rural traditions to modern day lifestyles. It's very much family-oriented, with a carnival and dinosaur adventures (perhaps there's a possibility Prince George will be brought along). This promises to be a fun one, which we can expect plenty of fabulous photos from. It's always interesting to see the royals incorporating causes they are most passionate about during royal tours. We know the Duchess is deeply interested in the hospice movement, as patron of East Anglia's Children's Hospices. During the couple's last royal tour she gave a speech at Hospis Malaysia, and this time Her Royal Highness will speak about caring for severely ill children with staff and parents at Bear Cottage Children's Hospice. William and Kate will also attend a surf lifesaving demonstration. 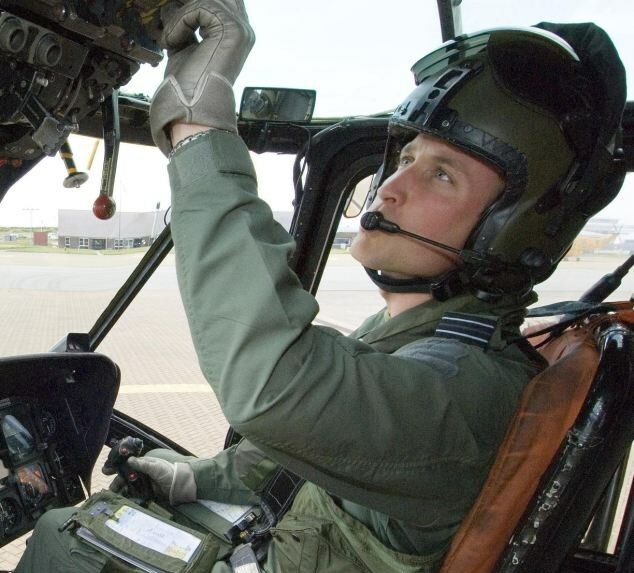 19 April kicks off with an engagement close to Prince William's heart - a visit to RAAF Amberley. As you all know William worked as a search and rescue pilot at RAF Valley and both he and Kate adored their time in Anglesey. No doubt it will prove a particularly enjoyable one for the Prince. 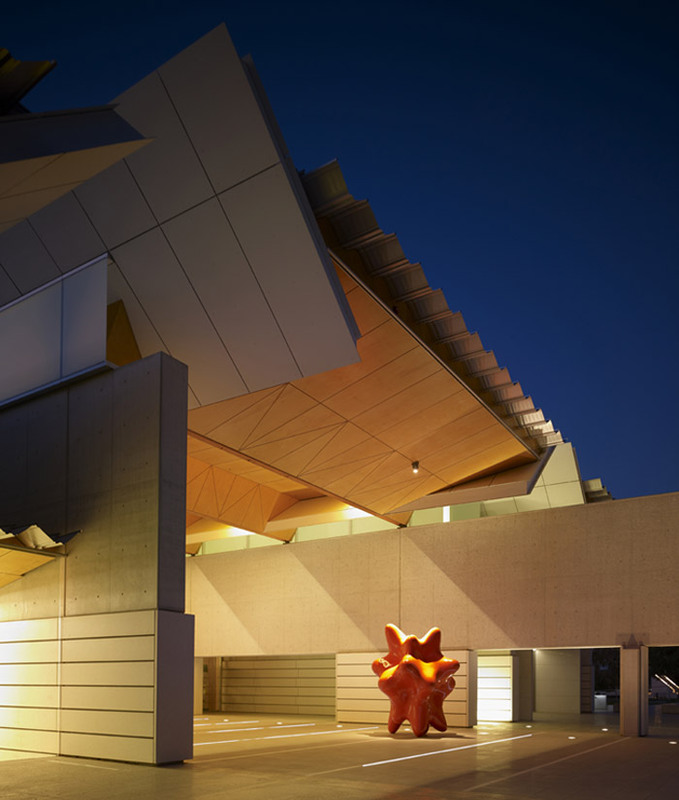 The Cambridges will also attend a Brisbane Convention Centre Reception. The day begins with an Easter Sunday Service at St. Andrew's Cathedral. Next, the Cambridges will visit Taronga Zoo - including the bilby enclosure. This engagement is, in my opinion, the one at which we're most likely to see Prince George, for a number of reasons. 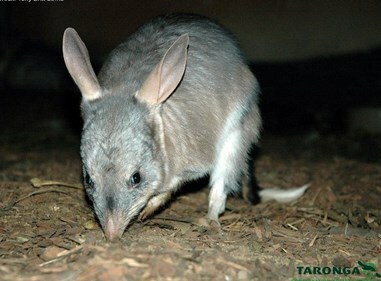 Not only is a zoo an ideal choice for a baby but the bilby enclosure was dedicated to the newborn prince as a birthday gift. I honestly can't see him not joining his parents for this one unless he's under the weather on the day. There are no engagements scheduled for this day. I expect it will be a family day for William, Kate and George to enjoy in private. April 22 offers a day of engagements at Uluru, also known as Ayers Rock, beginning with visits to the National Indigenous Training Academy and the Uluru Cultural Centre. The Duke and Duchess will take tea with the Northern Territories Chief Minister and enjoy a walk around the base of Uluru. The Cambridges stop in Adelaide will involve a visit to Northern Sound System Studios and a reception at Playford civic centre. One will note there are quite a few receptions on the itinerary. Depending on the time they're scheduled for, they tend to be rather relaxed and informal. Below we see the Cambridges at a reception during the Canada tour in 2011. And an evening reception the Cambridges attended in Singapore in 2012. I expect we'll see a mixture of formal and informal events like this throughout the tour. Next up, it's a busy day in Canberra, where William and Kate will visit the National Portrait Gallery. The Duchess is patron of the National Portrait Gallery in London and will no doubt be very interested to see what Canberra's has to offer. The Cambridges will then travel to Parliament House (it was officially opened by The Queen in 1988) for a reception hosted by the Prime Minister and take part in a National Arboretum tree-planting before finishing the day at a Governor-General's reception. April 25 marks the final day of the Cambridges 2014 Royal Tour. Before bidding farewell to Australia, the Duke and Duchess will pay homage to ANZAC Day (Australian and New Zealand Army Corps), marking the centenary of the outbreak of World War I by attending the ANZAC Day march and commemorative service. 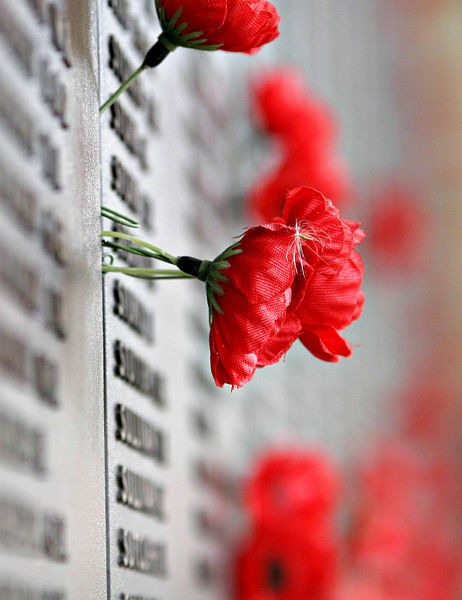 The national day of remembrance commemorates all Australians and New Zealanders who served and died in all wars, conflicts and peacekeeping operations. The Cambridges will also take part in a lone pine planting ceremony. William, Kate and Geroge will then make their departure and return to London. What do you think of the itinerary? What events are you most looking forward too? Of course, the big news today is the tour announcement. However did you see photos of William and Kate enjoying a rare night out last night? (The photos are unfortunately not available at photo agencies at this time, but you can view them at the Mail Online). We've seen very little of the Cambridges in recent months, so it's lovely to see them out and about enjoying themselves. The couple were attending a birthday party for long-time friend Louise Aubrey-Fletcher, the wife of one of the Prince's oldest and closest friends Harry Aubrey-Fletcher at 'Bunga Bunga' Bar in South-west London. The venue has a pizzeria and a karaoke bar and is described as an "Englishman's Italian". Kate looked stylish in her Temperley London Odele Sheepskin Coat. 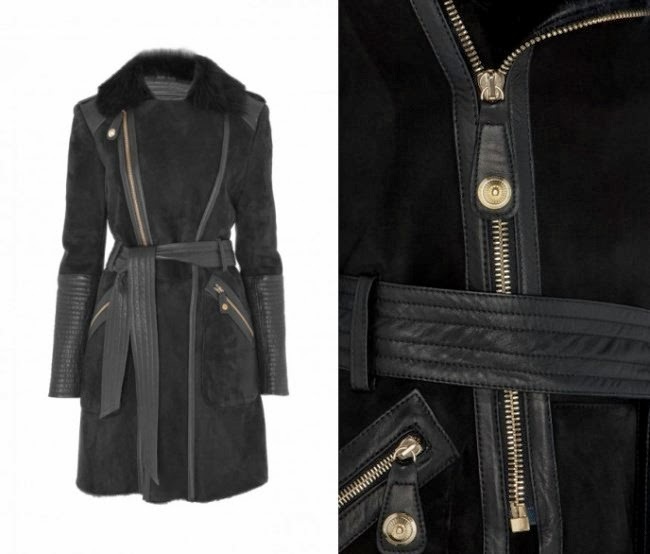 The €2,350 piece is made of soft sheepskin, has the suede side facing out and is lined with flat haired sheepskin allowing a snug and flattering fit. The cut is feminine and sharp with a nipped in waist. Leather trim and gold meal hardware complete the look. Underneath Kate wore a print dress; it's impossible to be certain which one, but some have suggested it looks very much like her Issa Bird Print dress. We know the Duchess hasn't worn Issa in years, so it would seem unlikely. There's an abundance of floral/bird print dresses on the high-street at the moment, and it's quite possible she picked up a similar one. 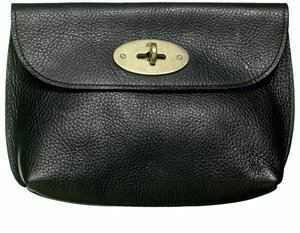 Kate completed the look with black pumps, tights and her Mulberry Cosmetic Lock Clutch. Kate looked excellent, and it was a very chic, youthful look! We'll see William and Kate for the annual St. Patrick's Day parade at Mons Barracks, Aldershot. We'll let you know if anything else is announced! Is this the full list of engagements for the tour, or can we expect a few more to be added last minute? A little dissapointed at the lack of formal events. I'm told it's the full itinerary - very informal. Well done, Charlotte! Your usual thorough job with complete, interesting information! Thank you Julie, how is your health at the moment? Best wishes for a speedy recovery for whatever ails you. Keep strong. Julie, I hope you're feeling better! Miss talking to you, my friend! Dear Charlotte, Rose, Theresa, and Ana B! And after that bit of TMI, I hope all the Duchess Kate readers out there are having a wonderful day! And from the DM photo it does look like Kate wore the Issa dress you featured above. Thank you royalfan, it's very much a family friendly tour. It's a great itinerary, although I would have *loved* an event which called for a tiara or full-length gown. Really? The state reception wouldn't call for gowns and/or a tiara? Charlotte. Is that for real that George will be included in two engagements ? It would be a royal first!! Ann London. I'm a bit disappointed we won't see a gorgeous gown with some diamonds on Kate. **sigh** I for sure thought at least one formal engagement. Thank you Charlotte for the details---sounds very interesting and informal. Probably no tiaras, but Prince George is much better than state dinners! Very surprised---but delighted, that they intend to include him on some engagements---never thought that would happen. Very interesting mixture of engagements including 2 children's Hospices and falling during Easter probably makes it easier for you to cover Charlotte. I'm in Adelaide! Will be taking the day off work to go Duchess spotting! Oh my goodness I'm beyond excited. I'd be coming down with something myself. ;) No doubt about it! I'm from New Zealand and have been looking forward to the tour since it was first mentioned. It would have been nice to see a bit more opportunity for formal engagements but that may just be in reflection of our cultures, here in NZ and Australia. Both countries are quite laid-back and casual but when the occasion fits, we can pull out the bling too. Shame we don't get to see a bit more of them in Auckland though. I definitely expected one black-tie function per country for sure. I know there's a lot of disappointment but William and Kate appear to want to undertake informal tours. This is the most casual one yet. I am so excited I can barely contain myself. I look so forward to her clothing choices. Your blog is the best. Oh, I am sooo disappointed by the lack of tiara-worthy events! Couldn't there be just one?? However, it seems that there are at least 2 events where we might see George, so all is not lost. Nice to see William and Kate enjoying an adult night out together. And how great that they still have the same friends that they had in college! While I can't imagine spending $3000 on a coat, I'm glad to see Kate getting use out of it. I just hope George never spits up on it. You know, I just realized that the jewelry she wore on her Valentine's day event totaled almost $10,000, not counting her engagement ring. While I love my jewelry I can't even imagine spending that kind of money. But I guess it's all relative, while I might spend $200 on a necklace someone else wouldn't dream of spending more than $20. Charlotte Thanks for this great post. You do your research in everything thing you post, that what make's this the best. If some of the people who make comments here regarding Kate and work would do some research before spouting off then they would know what goes on in Kate's world. Regarding their date night last night, the photos shwon sure did not look like William wanted to be near his wife. William usually always walks with Kate but last night he was ahead of her and in the car before her. And I did notice Kate did not have her engagement ring on either. But it looked like she had on two rings, one could be her wedding ban and the othe rher enternity ring. I cqn not wait until the tour and your reporting on it. Thanks again for all your hard work. If you look closely at the pictures in the DM article, their car is out in the street (sort of double parked) and they have to walk in between two cars (with a barrier set up between them) so it wouldn't have been possible to walk side by side. And in a situation like that surely the objective for the PPO's is to get them out the door and into their car ASAP. They have been together for YEARS!! Surely they don't have to cling to each other every time they get in and out of restaurants and cars? And as people have pointed out, safety and security regarding royal protocol comes first. My hubby does personal protection...don't read so much into this. It's choreographed by security. The tour will be fantastic. I'm sure both countries are wonderful to visit. I must admit I would love to go there too one day :) Such a pity though there are no formal black tie with tiaras engagements. But still, it will be great fun to follow ! I met up on Friday, here in Paris, with fans of the Duchess who follow the French blog "Dans le boudoir de Kate Middleton". Lynda, who writes the blog, had organized a Tea Party at a lovely Salon de Thé. Il was fun to meet some of the readers of her blog and we talked about your blog too, dear Charlotte. Charlotte, your blog is really great !!! You don't censor the comments too much : that allows people to debate freely and it is very interesting to have different points of view. Your blog is very popular amongst my french friends who don't speak english, we are able to understand your blog by translating its pages . Bravo ! Is there anyone else who would appreciate reporting on PG's outfits, as well as his mother's, if the info is available? Thank you Charlotte for this amazing post- It looks like TRH will be very busy -I hope they enjoy their time together and the tour itself. I also saw the photos of the Saturday night birthday party- Please some one explain to me why William always gets in the car first or the line first- why is Kate always in second place? We don't see them together much anymore (this will change with the tour) but it just seems rude to me that she is always steps behind. Anyone? Thank you. Hi Patrica, as I speculated in a previous post, maybe he was rushing back to the car to undo the top button of his pants. Sometimes pizza just doesn't sit well. :) Or Kate may have been saying good night to other guests and William got impatient. Also, not in this situation, Williams is the royal one, the heir to the throne. Similar to Prince Phillip always walking behind the Queen, I think William goes first then comes Kate. Thank you Lauri- I understand that William is the Royal one but I often think that they put hat stuff aside- all the formal stuff. Guess not all of it. I appreciate your insight. If you notice when they are in the backseat of a car, William is always on the left. He opposite the driver. In case somebody pulls along the side of the car and tries to shoot or something else. It is the same with the queen or Charles. If Kate is without William, she is the left position and Rebecca is on the right. The NZ itinerary seems a tad yawn-inducing to me. They seem to be doing all the fun things in Oz. Hope that does not colour Kate's view of our lovely country! It has a very heavy bias towards looking at aeroplanes on the ground! Also, Aucklanders will not see much of them, and a quarter of the population is in Auckland - for the majority of their time here they will be out on the water or inside the security of Whenuapai airbase (which is only 2kms from my home as the crow flies). There are a few disappointed Aucklanders on the social networks this morning! Yes, I was sorry to see that so many Aucklanders were disappointed. The tour is a bit shorter than was previously reported. We were told it would take place over 3-5 weeks. 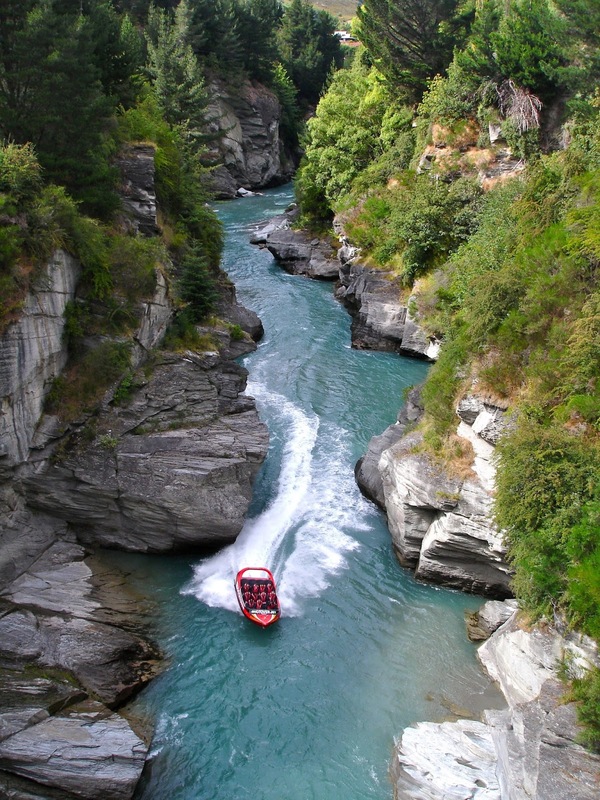 The South Island will be beautiful & fun on the shotover jet boat & vineyard tours as well as meet some All Blacks at Dunedin's new rugby stadium with little kids will be fun! Lucky South Island this tour with 4 regions visited!!! That certainly seems jam packed! I hope they can enjoy some time to relax as well. Remember that Uluru is several hours away from both Sydney and Adelaide. WOW Charlotte! You are quick and precise as usual! It's so nice to log on and see an amazing update with such great info! Thank you so much! I'm glad to see Will and Kate out and about enjoying some time alone. I hope they enjoyed being with friends and having adult conversation. A pizza bar....yum! Sounds like great fun! Kate did look chic and that coat is one of my favorites! Thanks for the great information and update! Hope everyone has a lovely evening! One more comment: Diana climbed Uluru when she was in Australia, but I doubt very much that William or Kate will. I think there is more awareness now of the rock is sacred to the Aboriginal people and climbing on it defiles it in their eyes. Wow Charlotte. I am impressed and looking forward to this tour and seeing Prince George a few times will be wonderful. He has gotten so big and will be 9 months old for the tour. We are going to be saturated with the Cambridges and I know we will be in Duchess Kate heaven. Well done Charlotte on this speedy post. Thank you. Thank you, Charlotte, for the overview of the tour. Question: How can you tell what the dress code is for the evening receptions? Easter Sunday will no doubt give Kate an opportunity to look very elegant in daytime attire. It looks as if Kate's hair is a bit shorter in the pizza party pictures, and the glimpse of her skirt does look like the dress in which she arrived at the hotel to prepare for her wedding. You also have a nice picture of that dress taken during a tour. Specific dress codes were not reported but the royal correspondents described a couple of the reception as "smart-ish" at best, definitely not evening gown/tiara functions. Hello JP, It can take a while for me to moderate comments, both of yours are published now. I am a Victorian taxpayer JP, and I really don't mind where they go. I'm happy to pay for any royals to come out here, and I would rather have the British royal family to a president and their family any day. I think the tour itinerary sounds lovely and well balanced, a little to busy some days even, and I hope they will enjoy themselves here. I also think it will be nice for the people of Adelaide and Uluru to see them. The queen was in Melbourne last time she was here, I guess we have to share the royals around! I just want a tiara "sobs"
LOL, Sarah. I wouldn't be surprised to hear WIlliam and Kate aren't upset about it though. I remember Diana saying how she hated state dinners because they were so dull. Is it just me, or do the pictures from the DM make it look like Kate may have gotten a few inches cut off of her hair? Not really "big news" in my opinion, but I'm sure some of the readers of this blog will be happy if that's true. I've seen a lot of comments regarding her hair lately. Either way, they both look relaxed and happy. I am very excited for the tour, regardless of how informal it will be. I can't wait to see if little George looks more like Will or Kate these days. I hope he still has those chubby cheeks! Hi Brooke, I noticed that too. I do like it a little shorter, ie as before she got pregnant. It had much more bounce and volume. I guess we will know for sure at her next engagement. Did anyone notice in the photos from the night out last night that it looks like Kate cut her hair a bit? It looks quite a bit shorter to me. Loved this post Charlotte so informative and detailed. I'm most excited to see the events that PG will be at!!! I don't really mind that there are no formal events. Their goal was to experience the countries culture and lifestyle, and their itinerary is definitely that. I am disappointed and based on the quotes as Kate has always wanted to go Down Under, this just seems like a personal family vacation and they're doing some obligatory stops to make it an "official" tour. I'm sorry, but that's how I feel. With that said, I will definitely follow the Kate (fashion) coverage while they're on tour. I look forward to the great coverage on this wonderful blog and definitely look forward to pictures of Prince George! Fully agree and a very good way of stating it. Hmmm... Their itinerary sounds like a far cry from any vacation I'd want to take, especially with an 8 month old baby. With or without a nanny. And quoting Kate as saying she has always wanted to visit is just old fashioned good manners. Yes, the 48 engagements reported by Ricard Palmer certainly sound like a lazy family holiday. Describe an itinerary that would convince you. Grand dinners? I agree with royalfan that it is simple courtesy to express delight and a wish to visit one's host. I am sure this tour was carefully planned by the three governments involved, taking into account the charities and pursuits of TRH. I understand what she's saying. In terms of the amount of engagements, travelling, wardrobe changes, and a 9 month old, it doesn't sound leisurely. But if you look deeper into the itinerary, it is vacationy. Boat trips on a river, an easter parade, museums, a zoo. You have to admit this tour will be relaxed, fun, exciting for the family, and informative for kate to learn all about the culture and history of the countries. "doing some obligatory stops to make it an "official" tour" THAT! So much disappointment for people in Oz and NZ. More of a family holiday than a tour. Participating in rugby? Really? yet no proper formal events. They are representing The Queen after all. Disgusted is the word. People above have mentioned that NZ and Australia are laid back countries and it's true. The countries are part of the commonwealth, no longer part of the old British empire, and so I don't really think 'grand royal' is the right tone for any of their engagements. It would be appropriate in Britian, but not so much here (imo!) The state gatherings will be a nice level of formality though. I understand what you mean about the strangeness of some of the scheduled visits though. As another kiwi mentioned above, they seem to be spending more time hanging out at military events and with aeroplanes, especially in the North Island. I would have expected them to engage more with Maori events and see the modern diversity of Auckland. There are huge Pacific Island, Asian and Indian communities here. The South Island leg will be super and the locals will have plenty of opportunity to see them, I'd say. 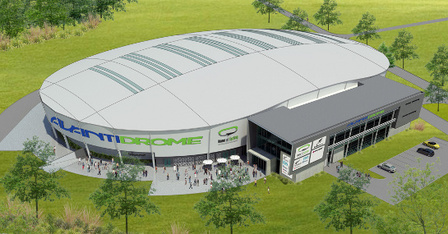 Will be very interested to see how they go in Christchurch. The city is still recovering and a lot of people there are frustrated with the lengthy process of rebuilding. I like that they're going to Cambridge! It's a small and very pretty place with a great nominal connection to them. Thanks for the thorough coverage Charlotte. I looked again att he pictures from last night and I don't think it is he Issa dress. The one she had on last night looks much shorter than the Issa dress. I don't understand the comments re family vacation...this will be a grueling 3 weeks for them. They are doing events that are relevant to the people and match their own interests. thanks for your comments re: W being first in line, in the car- makes sense. I am excited to see details of this tour up now!! Thank you Charlotte for the detailed coverage of this. I am VERY excited to see that the Waikato engagements are all within a 10 - 20 minute drive from my house!! Must make sure I get that day off work... It will be a very busy day TRH spotting!! I agree with Annonymous above that this will be a grueling 3 weeks for them with not too many down days. Looking forward to seeing the coverage of this tour. Thank you for all the details about the trip and the awesome work you do on this blog. I agree with the comments about this being a jampacked schedule and the Australian leg will also involve a lot of travel e.g. the 21st is unlikely to be much downtime. The direct flight from Sydney to Alice Springs takes just over 3 hours and by the time you factor in getting to the airport, the formal departure and arrival ceremonies there goes at least half the day. Anyone who's done the flight from London to NZ or Australia will understand how gutsy that schedule for the first few days in NZ really is . The jetlag after that 20+ hour flight is like walking into a wall and lasts for days. They've only got a day to recover before meeting the public at receptions etc. And jetlag doesn't care where you sit in the plane or how comfortable your flight is - I've flown the 'kangaroo route' (Sydney-London-Sydney) business class for work and it makes no difference. The Cambridges are to quote the Sydney Morning Herald when Prince George was born 'stunningly popular in Australia' because their approach to being royals plays well to Australian values and lifestyle. They're open, more approachable, down to earth and not stuffy. Prince William also won a lot of respect when he was here in 2011 after a series of natural disasters - he handled a difficult situation with empathy and tact. So you're likely to see big crowds come out to welcome them. Anzac Day is a huge national day here and it sounds like they'll be at the dawn service at the Australian War Memorial on Anzac Day which means the Duchess will need some warm clothes - it'll be late autumn in Canberra and the temperature at that time of the morning will be around 0-6C. The rest of the tour will be in warmer cities - Brisbane will be warm, Sydney will be a bit cooler but still in the 20sC, Alice Springs is in the desert so hot during the day and cool at night, and Adelaide is likely to be mild. So plenty of opportunities for light dresses with the occasional jacket or wrap. royalfan also nails it in her comment - every royal visitor to Australia says at some point they've always wanted to come here or they're glad to be back in Australia etc - it's just being courteous to your host country. I also find it totally weird that William and Kate are criticised by some commenters here for the itinerary when it's put together by the governments of the two countries in consultation with the governor generals and Buckingham Palace. It's also well understood at government level that William is the second in line to the throne and I hate to mention this royalfan but if anyone besides the Queen gets to wear a tiara downunder it's going to be Camilla on some future visit as she's married to the heir to the throne. Carmen I loved your post. These two will never please everyone hear. Some think they don't work enough but they do walk in their shoes so I don't understand how they can say that. Honestly, travelling across the world for short amounts of time is such a common thing these days that I am surprised you choose to highlight the jetlag aspect. TRH will have first class accomodations in the plane, which means that they will be able to sleep lying down (not reclined like those traveling in coach) and have the best meals and drinks. Plus they are getting an entire day to recuperate from their jetlag. Perhaps you are not familiar with business travel. But as an example, many people I know, mothers, myself included, take trans-Atlantic flights at 9 pm after a whole work day, fly to London and go straight to the London office to have another full working day before going out to dinner with clients, checking into the hotel at 10 pm, sleeping for 7 hours and then being up for another full work day, dinner and another flight back to NYC/Chicago. This is so commonplace it does not even beg mentionning. I have spent less than 48 hours in London, where I worked, networked with clients, spent less than 10 hours in a hotel room sleeping, showering, and flown back. I have had to be "on" the entire time, I have had to watch each step lest I jeopardise a deal. Normal people like us are not given the luxury of jetlag. It's really not a big deal. I am a bit tired of having people treat TRH as if they are fragile creatures made of cotton and wool. I do love reading your comments! bluewren, I appreciate your comments and I think people who would actually do a tour like this might be less harsh and certainly less inclined to say how vacation-like it is. And O-M-G..... I totally agree with you about Camilla being the one to wear a tiara Down Under and not Kate. I tend to bring Camilla up quite a bit (lol) so I didn't want to go there yet again, but that is my feeling exactly. W&K are representing the Queen, but they're also going as the "junior cheerleaders" for the next in line and his wife. A tour with the sort of formality some of us hoped for would be done by C&C (seeing the itinerary nailed that for me). I believe as well that W&K didn't put together the itinerary of the upcoming tour as the governments and Buckingham Palace mainly planned the tour apparently. I count myself among those readers who therefore wonder why Kate has done only three engagements in 2014. It will quite possibly be one more on St. Patrick's Day. I highly doubt that she has that much to consider that she thinks it impossible to do maybe two engagements a month. As you stated, Carmen, it is not her planning the tour alone with william. I think it a big topic with George coming along but i don't believe it takes her half a year to sort out what she is going to wear. I don't know if there are many more things to consider than that? Also, it's not them doing the research for each place they visit. They are being briefed before. Please don't get me wrong here! I am very much looking forward to the upcoming tour and i am and will be a long time follower of this blog. I just wished we could see more of Kate herself. She seems so passive most of the time. I would like to hear and see her statuing her own profile and what she stands for. It is called maternity leave. She is still consdidered on leave. Those who live in England can take up to a year. So why should Kate be any different just because she is a royal. And how you do know that Kate is not doing the research on this tour? I believe Catherine is showing what she stands for---namely that her child comes first. Like most new mothers in the UK she is searching for child care for the end of maternity leave.--she has to find a nanny--others look for nurseries. When I had my children maternity leave did not exist--so leaving and looking after your own child was the done thing. When I returned to work much later and in senior positions, covering for maternity leave was a nightmare---but this country has accepted that having a mother's care during the first year, is in most cases, best. Why should George have anything less? Maternity leave applies to women who work full-time , meaning more than 40 hours a week. That is approximately how long Kate works in a year. I am always puzzled to see the term applied to her. The term "maternity leave", as applied to Kate, doesn't have the same legal or technical meaning. I imagine it simply means time for her to make her baby a top priority. It's unfortunate that doing a small number of engagements during this time has turned into cries of her not doing enough, rather than looking at it from the point of view of what she did do during maternity leave. Grueling schedule? You do realize they do not have to drive/transport themselves nor fix or find their own meals and deal with hotels, right? I'm sure if someone clocked their actual time in public it will be less then 4 hours a day. Leaving 20 hours for "down time". I don't want to put anymore on Charlotte then she already does - but it would be interesting to know the amount of time each day actually making public appearances. I just read that it is 90 minutes at each engagement. I agree with you. With this schedule, along with the weightiness (NOT) of each event, it seems like they have plenty of downtime. The whole schedule seems to be weighted in favor or lightweight fun sort of events. And does it have anything to do with the character of the places they are visiting? Did Diana and Charles do the same type of events - weren't they more formal? I pity the poor nanny though. The nanny will have one cranky infant on her hands. It seems that he will be sleeping in three cities over the two weeks and some infants do take a day or two to adjust to each new bed. On previous tours days off were taken by visits to places where something had happened such as the fire in the Northern town in Canada. However some people will never be satisfied. They cannot visit everywhere---there are huge numbers of places in the UK not yet visited by either William or Catherine. The Duke and Duchess of Cambridge have good manners and know when they are invited to do one thing, they cannot demand a ball or a banquet. What Diana and Charles did thirty years ago is nothing to do with this----the world was a different place..
Jean I totally agree with you. I get sick & tired of reading so many comparing them to his parents. And even the European royals. If they don't like what is going on with W&K theb don't visit this great blog. @Portia I had to laugh at your comment regarding George. How do you know he is will a cranky baby? All babies are diferent. I will never be comfortable with people describing royal tours and appearances as "work". It is the antithesis of work. Charles and Diana toured as the "next in line" and it shouldn't be compared to W&K's visit. But perhaps we should compare Charles and Camilla's 2012 tour (a mere seven years after their marriage). Pauline, George is a baby whose routine is going to be seriously disrupted. He may also have a nanny he doesn't really know well. I would not be surprised to find he's cranky. I hope they've got the nanny already so they can start bonding. Pauline, with all due respect, you need to calm the penguin down. Anyone who has travelled with infants knows that the first night or two in a new bed can be difficult for little ones. That is all I was stating. Your absolute fanatic defense of Kate and William and everything about them is getting tiresome. Seriously. Stop smacking people all the time. Or else we might be inclined to think of you as a big bully. Can't wait but looking forward to your blog. It will be brilliant and what is more no having to do any of the middle of the night early morning vigils. I see that Kate and Will are going to see a surf lifesaving demo, my nephew in Sydney is a volunteer surf lifesaver so I wonder if he will be part of it?!! Of course we were all hoping for a tiara "do", but this seems to be more representative of what people in Australia and New Zealand like to do. Surely the object of the tour is to get to know more about the people there. They are going at the invitation of Australia and New Zealand and presumably what they do is suggested by their hosts. It would be odd if there were no Military engagements in the Centenary year of WW1 and there is a Children's Hospice in both countries, and sporting events important there. There are two Church Services --Palm Sunday and Easter Sunday, so probably get hats. Hmmm, I must admit I share the disappointment of quite a few others about this itinerary. The tour seems to be very heavy on the military and sightseeing visits and very light on charitable work - I can totally see why so many people are describing it as a family holiday more than a tour. I also hope that the numerous military engagements don't mean that Kate's wardrobe is predominantly black - how dull would that be? That said, I am thrilled to see that Prince George might appear at two of the engagements. As I think Ann said above, that would be totally unprecedented for a royal baby. In 1983 Prince William was only seen at the airports getting on/off planes and then at the official photoshoot in New Zealand, so this would be fantastic! I also note that there are a couple of church visits, so I guess that means we get some hats instead of tiaras! I'll be glued to every minute of it all, and I echo everybody else's thanks for your wonderful blog Charlotte - this makes it so much easier than Diana watching when we all had to wait for the papers the next day! I'm sure it will be an exhausting tour with all press and people but it does seem to be a very youthful itinerary with a lot of airplanes and sports along with more serious engagements. I think at least one formal event would have been nice. Putting on your best is a compliment to a country, even an informal one. The tour is long enough to support one fancy event. It would be nice to see William and Kate balancing their informality by looking more "royal" like the young European royals do. We see W and K shopping and clubbing and attending film events but so far there are very few photos of them looking like a prince and princess. I suppose that will come in time. I was very surprised they didn't attend the Mandela memorial along with Harry after his death came when they were watching the film. After all the fuss of how sad they were, it would have seemed nice if they could take the time to go to Westminster Abbey. Were Kate's tears crocodile tears? I guess W& K can not do anything right for you????? I'm sorry but I'm tired of the "just see them shopping and clubbing" complaints. If you're so disenchanted with them, then why waste your time on a royal blog such as this? I don't mean that sarcastically, but I just don't get it sometimes. Give them a break! geeze! Perhaps we'd like to not be disappointed, royalfan. Disappointment is a general word, bluhare. But I do understand your point. However, when disappointment turns into something less kind it goes too far. It's one thing to express a preference, and we all have them, but without knowing the reason(s) behind the decisions, I don't see how people can condemn William and/or Kate so easily. As Anonymous 15:36. Well, quite a few people have left the blog. But I have been a royalfan myself for decades now, and keep hoping that William and Kate will live up to their tremendous potentional. Far from not being able to please me, I was delighted with their first year, but then things seemed to slack off, even before Kate was pregnant. I was delighted to hear that William was leaving the air force, supposedly to take on more royal duties but so far nothing has really developed and I will admit to being disappointed in the couple at this point. About three engagements each in a sixty day period isn't much. I don't expect them to work full time. I do think it is important to have time with George. But some public work is necessary to justify the monarchy. I am no fan of Charles and Camilla and am far from convinced that they can sustain the monarchy. How much they have to do with what William and Kate take on isn't clear to me. Charles and Camilla just got back from a "successful" (in Charles' eyes) tour of Australia, though, so I wouldn't think too much of what William and Kate are doing on ther tour has much to do with Charles and Camilla. I do think it surprising that an heir to the throne (Charles?, William?) didn't attend the Mandela memorial, given Mandela's importance in world history in the last century. Since William has shown much interest in Africa and watched the film on Mandela's life, I don't quite understand why he didn't attend the memorial. This is to say nothing against Harry. Both brothers often visited Africa together. Why not attend the memorial together. In the end, we can only know what we can see, and that is why the royal family has always been about being seen. There is much William and Kate could do right for me, if they would just do something. Hopefully Australia and New Zealand will be the start of a new beginning for them. I wonder if we will see the Duchess wearing J Crew in the future? I wouldn't expect it. Part of the job of the royal ladies is to showcase British fashion and designers, a trend that was started, more or less, by Diana. While Kate has been known to shop at places like Gap, I wouldn't expect to see her wearing any of those clothes to formal engagements. Oh yes, I was definitely referring to casual sightings, not anything official. What matter black or white ties, tiaras and fashion when the jewel of this tour would be little Prince George? I bet William and Kate will attend a very formal event in the UK before the end of this year! When I read the itinerary and saw that there would be no formal events I was a bit bummed out. Not as bummed out as some of the other readers, but I was hoping there would be an appearance with all the glitz and glamour that we expect from a royal couple. There has been quite a few comments about jet lag. I agree with those who think jet lag is an issue, even if just a small one. It doesn't really matter if you have a private jet or fly coach, your body is still stuck in its normal time zone. It isn't jetting across the world for a day or two and back home, it is being somewhere for weeks that is the opposite time of your usual one. I have three children and we live completely across the United States from both of our families. After a cross country flight the first couple days are fine. It is when it all catches up to you when the issues begin. Plus, having three kids makes is miserable sometimes. Prince George is so young that it could be a non factor or completely make him miserable. I am keeping my fingers crossed that he is a good traveler. After I got over the short lived disappointment I realized that the itinerary is very true to what they have taken on in the past. Military is a part of their life that lent them the most privacy and alone time. They probably identify, in some ways, with the military life or frame of mind. Many of us like the fact they seem more approachable than past generations of royals and I think this tour represents that fact. Once William and Kate start working harder for the monarchy and proving they can handle more professional engagements, they will receive them. They haven't done so yet, and so this is the type of itineraries they will receive until they earn more professional and glamourous ones. @Stephanie I think your comment is a slap in the face for W&K. You forgot I guess that they are not full time working royals yet so let them be. Pauline - I would argue that Stephanie's point is that they should be full time working royals. What else are they doing? They are in their 30's - who is not a full time working "insert career" at the age of 30? Pauline, as I just said in another post, I do think we're bashing them too much about the tour, and perhaps we should start thinking about the good things that can come out of it, rather than being upset at not seeing what we'd like to see. Think about that. *I* think things are getting a bit too negative. Me. However, I don't agree that Stephanie's comment was a slap in the face -- besides I thought those retorts were reserved for me and I'm getting jealous -- as the only reason they aren't full time working royals is because of William's refusal to do so. I'm coming around more and more to thinking that (yes, my opinions usually are a work in progress). He's in the middle of another gap year -- at age 31 -- and criticism of that is not unwarranted IMO. There is no such thing as a "part-time royal". I have not forgotten anything. Regardless, they haven't earned the more professional and glamourous engagements. I thought about the lack of full time career for some time.. However if you think about it, W&K working career in terms of full on duty will be in reverse to a normal career. When they finally take the throne later in life i.e 55+ years old, they will be working until either abdication or death whilst the rest of their generation will be retiring or looking forward to retiring. Just a thought. Anon 12:45... that's a very good point. Who knows how much they will be "working" when they are 55? I agree that it is foolish to let the goodwill surrounding them as a beautiful young couple, to go to waste, when they could actually use it to contribute to the long term success of the monarchy. I believe it is their character that will be the bottom line as to their success..
IMO "bluewren" (Carmen) brought up an excellent point in her comment. The monarchy needs all their cheerleaders. And those cheerleaders are the various members of the royal family as HM can't travel anymore. Right now, Sophie and Edward are touring the Caribbean. what say you about that tour in relation to Charles and Camilla? Right now William and Kate are the stars in the monarchy show and it has been planned for years that they would undertake this tour. Just as it was planned for them to undertake other tours. Charles and Camilla have represented HM in Australia and NZ during the jubilee year where they went soon after William and Kate returned from Asia. It's time someone else was sent over there. Why not William and Kate? Perhaps Harry or someone else should have been sent. Honestly, this need to tear down Charles and Camilla or to see the difference in status as a reason to explain the disappointing decisions that William and Kate make is tiring and tired. Great analogy, I love it! Acquitaine, with all due respect, my comment stemmed from my agreement with another poster who stated that if anyone other than the Queen is to wear a tiara Down Under, it would be Camilla rather than Kate. My comments stemmed from this and the discussion of this being an informal tour compared to what some people expected. Naturally, the monarchy has and needs all their cheerleaders, but they are used in different ways as evidenced by this itinerary. And my apologies for being tiring, but I believe it's equally tiring, and rather unrealistic, to deny that history plays a role in current decisions. Acquitaine, now I see why you were such a great queen. (Assuming you chose the name because of Eleanor!) Balderdash, indeed! Love it! Royalfan - the milk container analogy was clever! Sure gave me a hearty laugh!! royalfan, your comment made me laugh. But I'd also ask the group to consider this - William is turning into a mirror image of Charles, with very little of his mother - her smile, her compassion, her common touch and ability to talk and relate to anyone, her passion for making a difference - in his character. William's actions harken back to Charles as a young man, being the aristo toff without any real goals or ambitions, his seeming dislike and disdain of meeting people or being in public and his reluctance to undertake any sort of a full-time career, be it a military career or as a full-time "working" royal. The apple doesn't fall far from the tree and William has turned out to be his father's son, more than his mother's. And the excuse that he lost his mother at a young age doesn't fly. Yes he did and it was unbelievably sad and is to this day. But his character was formed and he certainly had enough time with her to absorb the lessons and the fine qualities she was trying to teach him and Harry. It appears few of those lessons stuck. Wiliam and Kate are fast spending, with this odd and unexplained reclusiveness and lack of doing anything in the way of work, the enormous good will and popularity built up prior to and after their engagement and wedding. William and Kate had the opportunity, living like they did in Anglesey, to continue that on some level in London. And they haven't at all. Yes, security is a greater challenge but not impossible to figure out if they'd wanted to stay busy and engaged. Nobody blames them for taking time to be with their baby but even the most fervent fans, I would guess, are starting to be a bit disillusioned, particularly when other members of the family seem to be able to stay busy with formal engagements. William is his own man. He and Kate have made these decisions, for better or worse. I would also expect that William and Kate were selected for the tour of Oz and NZ due to the fact that if there is a referendum vote to become a republic, the majority of those voting will be around the same age as Will and Kate. I don't know my Oz/NZ voter demographics very well but I would think Queen Elizabeth II wants someone down there who young people (young voters) can, hopefully, relate to, such as a young thirtysomething family. @ Elizabeth... I wanted to add that I do agree with you about the reasons/benefits of sending W&K on this tour given their ages, etc. I was under the impression that Prince Williams employment as a search and rescue pilot came to an end due to sale of the "company". It wasn't his choice. If that is so I can understand why this year includes a transition of sorts, education, moving house, adapting to new royal duties.. The RAF was full time as far as I know. I can't comprehend what all the excitement is about?! It's amazing how so many people on this blog could have developed a much better itinerary then the professionals who actually manage the Australia - New Zealand tour. Really? Dear friends from all over the world, you all deserve to take a Down Under relaxation pill. Sit back, let the Cambridges do their tour and enjoy. I hope they will have a great time and learn lots about the countries and the people. In my opinion it's absolutely pointless to criticise the itinerary unless anyone of us has inside information on the actual objective of the tour. @Anna from NZ AMEN to your comment. I totally agree with you. Many here think that it is a vacation but I tell you I would not want a vacation like this. These people need to be on the inside before they can really understand what really goes on planning a tour like this. It has been a year in the making. I understand too that both Countries are very laid back so why would people get all up in arms over the fact that there is not any black tie events. I hope you will have a chance to see the royal couple. I agree with Anna from NZ and Pauline from Oak Hills. I agree that she is NOT wearing the Issa bird dress based on the hemline. This date night dress is too short. She probably enjoys something with more leg when not on royal engagements. As for their informal-ness, I believe they are enjoying being 2nd in line. I'm sure when Charles inherits the throne W&K will step up their regal ness. For now let them live without as many expectations as they can avoid! Maybe she had the dress shortened! Anna from NZ: Hear, hear! Great post. And I hope you'll get to see William and Catherine even if they aren't spending enough time in Auckland. Thanks Pauline and Anon for your mental support. I will report back should I get to see TRH. Anna from NZ: Awesome comment! Just out of curiosity I had a look at the itinerary for Prince Charles and Camilla's jubilee visit to Australia last year and guess what? - it looks pretty relaxed too and so do they in the photo galleries - watching schoolkids play rugby on Bondi Beach; going to the Melbourne Cup; holding a koala at Government House in Adelaide, visiting military barracks in Sydney; seeing the Cattle Ranchers Hall of Fame in Longreach; drinking a glass of beer in a pub in Richmond, Tasmania; visiting a winery in the Adelaide Hills; gingerly patting a lamb at the 'Campaign for Wool' event in Sydney. If you compare the two itineraries they cover broadly the same mix of activities but in different places. Even the Queen does some fun things when she comes to Australia and NZ! Exactly my observation blue wren. Country life, the outdoors, sports, farming, barbecue at the beach, going out fishing, enjoying our boutique brewed beer or very own wine are - and I am not joking - some of the pillars of our much loved lifestyle. That stuff seriously matters to us. And we happily invite visitors to join us, even royal couples. What's more glamorous then the sunset at one of our heartbreakingly beautiful and endless beaches? I guess every royal tour has it's own characteristic and that's alright. Is it possible that TRH will release a professional portrait of them as a couple (and possibly one as a family with George) that will be used for publicity for the trip? It would be great to have some new family pictures to get us through until April! Oooh, I hadn't thought of that! They did release one before their Canada trip didn't they? I don't remember seeing one before the Asian trip, but maybe that was because they were visiting in lieu of HM in her jubilee year and not quite in their own right so to speak. Or maybe they just re-use the photo that was taken for the Canada trip? It would be fantastic to have another official family portrait beforehand wouldn't it? Charlotte, do you have any idea what the protocol is for this kind of thing? Have you heard the news that one of their engagements in the tour has cancelled because he felt insulted that W&K could only spend 90 minutes with him. What do you think will happen now, how will this affect that day of the tour if they can't get it sorted out in time. I did hear this story and there's been very little in the way of an official response but the Maori King felt 90 minutes wasn't enough to carry out proper protocol and his request for more time was declined. I expect the day will continue as planned, without that meeting. I thought it a real pity it couldn't have been worked out though. maybe my fellow aucklanders would be keen on having a meet up at Westpark Marina or somewhere else William and Kate will be in auckland? Late morning: Arrival at RNZAF Base, Whenuapai. Meet RNZAF families. So, at some point in the afternoon (possibly early afternoon?) there will be a public drive along Halsey St at the Viaduct Harbour. I guess 'public drive' indicates that they are meant to be seen. This might be the best bet for everyone who is in the city that day. Silvereyed - great idea. I am going to try to take the afternoon off. Only two comments but I am delighted that you picked up on the night out and ID'd the coat, Charlotte. I thought it was the Odele but in some photos it doesn't look as bulky as the Odele. Anyway, first comment - for those expecting Kate to be wearing a tiara at every turn, I think you're going to be disappointed. This tour seems to be keeping more along the lines of the US/Canada tour - more informal, more youthful, more involved and more casual. Again, there isn't the demand to adhere so tightly to protocol and rules and traditions in Oz and NZ as there was in the Asia tour so, with the exception of the two formal receptions, I wouldn't expect to see a different tiara every day. I'd also gently remind fans that the queen herself doesn't wear tiaras that often so it's unlikely the wife of the heir to the heir would be trotting around in them at every turn. I'm also sure the weather will impact what Kate wears on this tour, it will be end of summer/early autumn but still very warm. Second, the look Kate sported on her night out is PERFECT. She needs to just do that. That is the pre-engagement, pre-wedding Kate style we know and loved - classic, sharp, not trendy and age-appropriate. I wish she'd stick with this kind of look for her formal engagements. I would hope that Kate's fans will, as they demand others do, also focus on the places and people the royal couple are visiting, particularly those impacted by the Christchurch earthquake and the October 2013 brushfires. This is THE opportunity for Kate, now settled into the role as royal wife and mother, to really show her substance as well as her style and to show she's more than a royal clotheshorse. I have to say the Odele and the Darwin are two coats that I have lusted after since I saw her wear them. And I know that I will never buy them. Simply cannot justify it. Sigh. "I'd also gently remind fans that the queen herself doesn't wear tiaras that often so it's unlikely the wife of the heir to the heir would be trotting around in them at every turn." Thanks so much ........ still laughing. I also have to add that I LOVE the itinerary. 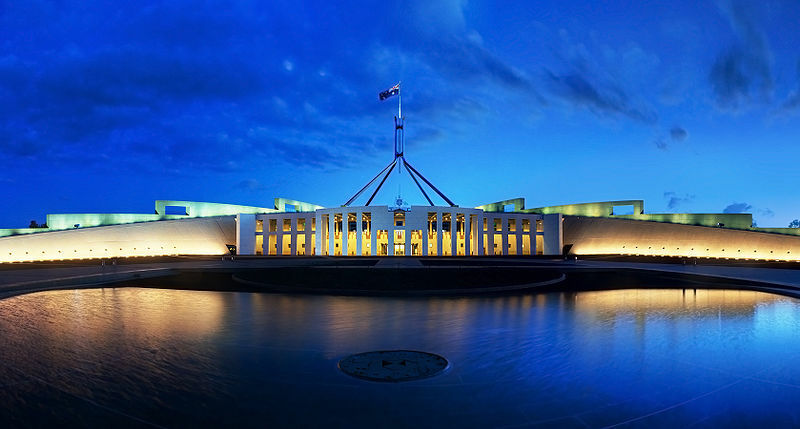 I do understand how some in Australia and New Zealand might be disappointed and it does seem pretty heavy on the closed-access military events but all in all, I think the schedule of events is well done. I've never been there and it's on my list of places to go but Australia and New Zealand always have struck me as being very friendly, casual, outgoing, and definitely not obsessed with formality and protocol. So I think this tour fits with the nature of the country and the people being visited. Keep in mind, the Asian tour, at least it seemed to me, was PACKED with formal events - actually too many, in my humble opinion. Different country, different people, different rules, different itinerary. "Royal Tour is Diana's Vital Legacy"
I think she was able to impose her choice also thanks to Charles approval. Nobody seems to be aware that Charles was a very good father, why? No, many of us are aware that he was a good father, and was vilified quite uneccessarily by Diana's team. Though I want to believe that she was reconciled with him (in a platonic way) towards the end of her life. His grief at her death was real. The man looked distraught. In contrast to the Queen, who could barely move a muscle in her face. Diana herself said that taking William to Australia was not her idea, and she did not know whose idea it was. I agree that Charles was a good father. Paola, at the time, it was only discussed in terms of the Queen going along with the preference of a new, young mother. I wasn't being critical of Charles by leaving him out of the equation. It's just that when it comes to something like this, many people don't think of it in terms of a wife needing a husband's approval. And personally, I believe he would have gone along with whatever Diana wanted. Do you think the dress she wore for the party on Saturday was the one she wore a couple of years back when she went with William; Charles and Camilla to a Gary Barlow concert, for the POW Trust. Going more off the length as not too much of the dress could be seen. I have read that she went to the retirement party last night for the Obstetrician who delivered George---but haven't seen any photos. I believe it's a different pattern (although that would have been another splendid choice). From what I can see it's a new dress for Kate. I've seen very similar pieces on the High Street in recent weeks. If you have some doubts, look (in the same DailyMail article) to the last photo of Kate, before the photos of her friends. It can show a little part of the dress. Tell me if I am right ok. I don't think the pattern looks like the lace dress. I do think a round neckline is visible at the throat. Probably this is neither the lace nor the birds dress, which has a deep V neckline. If she wore as dressy a dress as the Zara lace, wouldn't Kate wear her engagement ring with it? William is a full time student taking scheduled classes at at prestigious university. He cannot slack off nor is it likely to be an easy course. Catherine is a full time mother. Should they do those jobs badly because people want to see their pictures in the paper? emotionally drained because they can't console them.... For the record I am a mother of 2 , a 3.5 yo and a 7 mth old and I work full time outside the home in a pressured environment. I would give up work in a ny minute if we could afford it. William is 2nd in line and will have to step it up once he becomes Prince of Wales and that's exactly what he is studying for. The publics need for daily gratification in seeing a new picture and new info is a result of the www and really is a kindof sad reflection on us the public and is something no other royals have had to deal with. Once they do become full time working Royals they will work at that pace for the rest of their lives... No holiday as we know it and no retirement.... Ever....and based on genes that could be 60 years of that lifestyle. I certainly don't envy them nor begrudge them some perceived less pressured days at this stage of their lives. Thanks for a message based on facts! I completely agree with what you have said. Very well said. And I totally agree with you. Marrying a royal is not like marrying the man next door. You give up a lot to get a lot (not sure what you get other than things money can buy but there's got to be something!). It's not even like marrying the billionaire next door. The royals are supported by the public who understandably expect something for that support. And, IMO, they should get it. George is a baby and I get that his mother probably wants to be around him all the time, except she's just hired a full time nanny. And has at least one other "as needed" nanny, unless her job description has been changed. No one is asking Kate to work 40 hours per week as you do. If you had an opportunity to quit your job, have all the in-home help you want/need and be able to work for charitable causes and champion initiatives that make a difference in this world -- on a part time basis no less -- you wouldn't? That's all Kate has to do, and I would think that the personal satisfaction and gratification would be enormous. I would LOVE an opportunity like that. Hi Bluhare - I agree with you totally. Kate should be making more appearances. And these charitable events she goes to aren't really "work" as you and I know it. She just has to show up, possibly make a speech (that someone else wrote for her), and make small talk with the other people at the event. She could choose to get more involved with a charity, but just making an appearance is all that's really asked of her. In return, she has access to all the clothes and jewels she could want, and the ability to take vacations in Mustique, and have full-time help with her little one, etc. etc. Kate should never act as though she's entitled to all of the privileges; she should be trying to show she works for them! "Catherine is a full time mother. Should they do those jobs badly because people want to see their pictures in the paper?" Kate is not a full-time mother, she has a nanny, cook and housekeeper. She has staff. For herself and one child. While she does not work. "I find it amazing how every stay at home mother i meet in real life would argue that their role as a mother is a full time job and they should be paid or recognized for what they contribute." They do not have cooks, nannies, and housekeepers that are paid for by the public. Do they? First, let's remember what a vacation/holiday is. It is a break from work. You have to be employed to take a vacation. That is literally the definition. I'm pretty sure the Queen just spent the last two months hanging out in Sandringham enjoying the country life - no pressure, reading all the stuff in the red boxes and planning her investments according to all the inside information she receives. Living the Royal life. So, yes, there is absolutely room in the schedule for down time from making appearances. Why do you all imagine Kate is doing "work behind the scenes". She could just as easily be working out, planning outfits, chatting with friends, playing with the baby, having her hair done, organizing meals and playing video games and reading the internet. The entire trip was planned out for them and they are taking like six? assistants who will do the research and hand them briefs beforehand. I really do not understand comparing your full time pressure job and raising two small kids - her life is the complete opposite of yours. Kate has no work pressure, doesn't need money. Everyone should lay off her because you work so hard? William can absolutely slack off - he's shown no great intelligence (but great people skills) and is surrounded by advisers much smarter then he. He didn't even have the proper grades to be admitted to the University and he is taking a part time bespoke program - he certainly isn't being graded on his work. He found the time to go to another country and do some hunting with his brother and friends so he's not exactly spending all his time with his head buried in books. I think William and Kate are representing royal life exactly how it is... they have no responsibilities and they go where they are invited - to be courted and entertained on the tax payers dime. Well said Maryland Moxie. Have just read that W&K have landed on some island today for a week long holiday. At this point I really feel they are wildly out of touch. When I think of all of the people who are doing drudgery work 40 hours a week or more, to put a roof over their head and pay their bills, while their dreams and ambitions slip away with no time/resources to put to it.....these two seem like such a waste. So many projects I have thought of, to improve or delight the world....and these two seem content to live a fancy lifestyle. In any event, thank you Charlotte for writing this blog, I find the differing opinions fascinating. William did not need exam grades to enroll in this course. He has already earned a respectable university degree, which indicates his intelligence. He is preparing to be the Prince of Wales, one day, in charge of the Duchy of Cornwall. The present course is training for his future. Corporate executives enter similar courses. Bluhare, Moxie and Stephanie - thank you much for stating the obvious. I think that those of us who were born and bred in republics will never understand the adulation of a non-democratically elected head of state and the massive security net that comes with it. Your posts were good efforts, but from what I understand, you will not be able to convince anyone of your points because there has been inter-generational transference of love and adulation going on. It is sort of like faith - you believe what you want to and find it hard to give up. It's all very interesting. Sam, so now you're counting going to the christening of a friend's child work?? I wish I had your vision because I don't see what you see at all. I read everyone's comments and I personally don't care that there isnt more formal events. I do wish they could have visted Lord of the Rings and The Hobbit sights in NZ, but that just me being selfish and wanted those awesome pictures! Another thing I am glad about, my daughter's birthday is on the 6th and my son is on the 15th of April so I am glad that they don't have anything scheduled those days so I can focus on my kids and not on this blog!! Hopefully Kate will be out and about before St. Patricks day, and not just shopping, so we can get another fix! What do you think: Will Kate wear Princess Diana's dress in the future? Definitely not. That's just not something Kate or anyone would ever do. She wears her jewels, because William gave her the ring out of respect for his mother and it was special. But I don't think it would be appropriate for Kate to wear her clothes. Too weird. I don't see it happening. No. Great post as usuall, Charlotte!!! I'm sure the tour will be great, even greater than the previous tours, since I've discovered your blog a few weeks ago. Just a little question: do you know if Kate has her own Twitter account? Or are all the accounts on her name fictional? Is it normal for royals to have/not to have Twitter account? I'm really confused about it!! Just a question. Why do some engagements not appear in their diary in advance, or sometimes not in arrears either? Recent examples are the diplomatic reception, investitures and attending meetings with their charitable foundation. Thanks for information. Prince William conducted an Investiture on Tuesday--as it was on behalf of HM it appeared in the Court Circular under Buckingham Palace. The same applied to Prince Harry's presence at the Mandela Memorial where there was a prior announcement that he would represent HM. That answers why Prince Charles and Prince William did not attend. I just read that Kate and Wills have flown to the Maldives for a week's vacation. No word on whether they took George. If they didn't, that should indicate that they have a new full time nanny in place, or Carole has taken him for the time. I love Kate. I think she is smart, beautiful and kind. She has the potential to be a true game-changer for so many. I can't fault her for wanting to live a life of leisure and just doing the minimum to cross her Ts and dot her I's when it comes to doing Royal obligations, but in my heart, I wish she would inspire us w/ her work as much as her fashion. Mrs. T. in Chicago. Apparently Kate and William are taking a week-long vacation in the Maldives starting today. Do you know if it is true Charlotte ? What a life. I do admit, I envy parts of their life. I am so looking forward to this tour! I can't wait to see the Cambridges out and about in action! Most of all I can't wait to see little Georgie - he must have grown so much =) I'm sure his first official engagement will create such a sensation. It looks like they have quite a booked schedule and I look forward to seeing them balance it all out while trying to spend time with George! Can't wait for the St. Patrick's Day Parade!